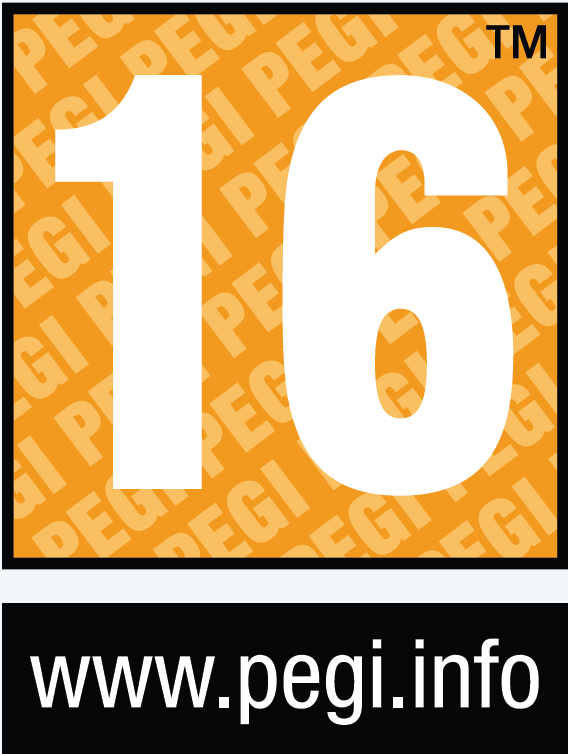 Can this latest HD RPG from Sega live up to the award winning quality of the last? 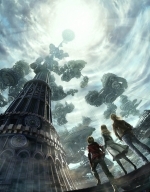 Resonance of Fate is the latest JRPG developed by Tri-Ace in their first ever job with Sega as a publisher. As far as JRPG developers go Tri-Ace is unique. Their games always have extremely fun battle systems, but they always seem to falter in some form in the presentation and other parts of the gameplay. 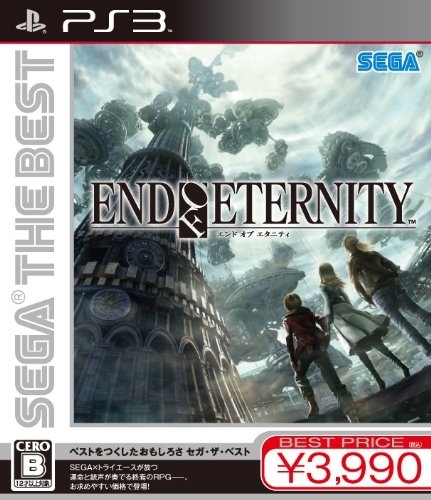 Has Resonance of Fate bucked the trend, or has Tri-Ace made yet another game that borders on greatness but trips over its own feet before the finish line? 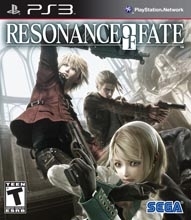 It seems that Al Gore has failed in his environmentalist endeavors since Resonance of Fate revolves around an Earth nearly devoid of life. In the distant future the entire planet has gone into ruin except for a small area around an atmosphere purifying tower known as Basel. You play as three mercenaries who take jobs from the higher-ups in the tower in order to eek out a living. With time you discover the pasts of the three hunters as well as the great power the machinery of Basel has over the fate of every person that lives in it. Surprisingly (from a JRPG enthusiast standpoint) the three heroes never get to the point of trying to save the world but instead focus on more personal, and some might say selfish, goals right up until the end of the game. Resonance of Fate’s story is divided into chapters. During each chapter you have access to a story mission as well as several side missions you can obtain from a guild in town. Once you complete the story mission you are given the choice to move on to the next chapter, but you will lose access to any side missions that you did not yet complete. The best part about the story is definitely the humor. I especially enjoyed the more perverted exploits of the leader, Vashyron. Leanne was also a great character for a laugh, but Zephyr remained a somber personality throughout most of the game. There were some cheesy moments of attempted emotional impact that didn’t really hit home, and some events that had far less impact than the writers probably hoped for since they didn’t fully develop them before and after, but overall the story was enjoyable if not anything spectacular. Easily the story’s biggest problem is that large sections of it were never really explained properly through my playthrough, and there was one character in particular that I still don’t understand the importance of, or the origin of, at all. Even the ending didn’t make much sense, but at least it wasn’t needlessly preachy and long while not making sense like Eternal Sonata’s ending. 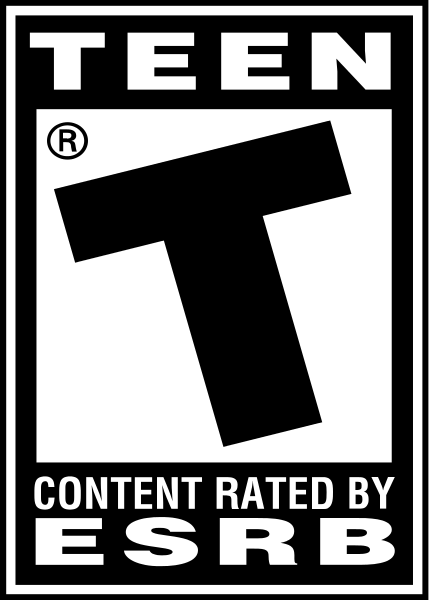 Another strange thing about Resonance of Fate is that its gameplay all centers on gunplay. That’s right, you are never going to see Zephyr swing a sword or Leanne cast a magic spell. Each character has the ability to use one of three different kinds of weapons. Handguns and grenades are self explanatory and cause direct damage to the enemy’s health bars. Machine guns are slightly different as they cause scratch damage. Scratch damage can never kill an enemy and they will heal up over time, but if you deal scratch damage and then with another character deal direct damage all of the scratch damage will be converted into direct damage. This system is extremely important as you go on later in the game because handguns and grenades will never do the damage that a fully charged machine gun can do; so you have to find a good balance between using machine guns for dealing damage and then handguns to finish off the enemy. If you think that sounds complicated then you really aren’t ready for the rest of it. Battles in Resonance of Fate are all turn based with each of your characters getting a turn. During a turn, you are given time and you can move the character around and place them in an advantageous position from which to shoot as your enemies move around and attack you in retaliation. You only get one attack, but you can use any extra time you have for the turn to charge the attack up to increase its effectiveness. How quickly you can charge the attack depends on how close you are to the target and how much you can charge it depends on your characters proficiency with that weapon. As you cause damage with a given weapon type your characters will level up for that weapon, and their HP is determined by adding all three weapon type levels together. Most of the time, you actually won’t run around manually and attack once during your turn, but you’ll instead use hero actions. By consuming one “bezel” from the hero gauge you can set the character on a linear path that he’ll run, and during that path he can shoot as many times as he wants and he will be immune to enemy attack. You may wonder why you would ever choose to not do a hero action, but the hero gauge is limited and if it goes all the way down to zero you will enter a highly vulnerable state which will more than likely get you killed. Any damage your characters take is scratch damage and it won’t kill you, but if your health all gets turned into scratch damage then the hero gauge will lose bezels in order to refill it. If your hero gauge empties you will start taking direct damage. There are many more nuances to the battle system, such as Tri-Attacks and destroying the body parts of your enemies in order to refill your hero gauge, so if you intend to pick this game up do yourself a favor and complete the optional tutorial. 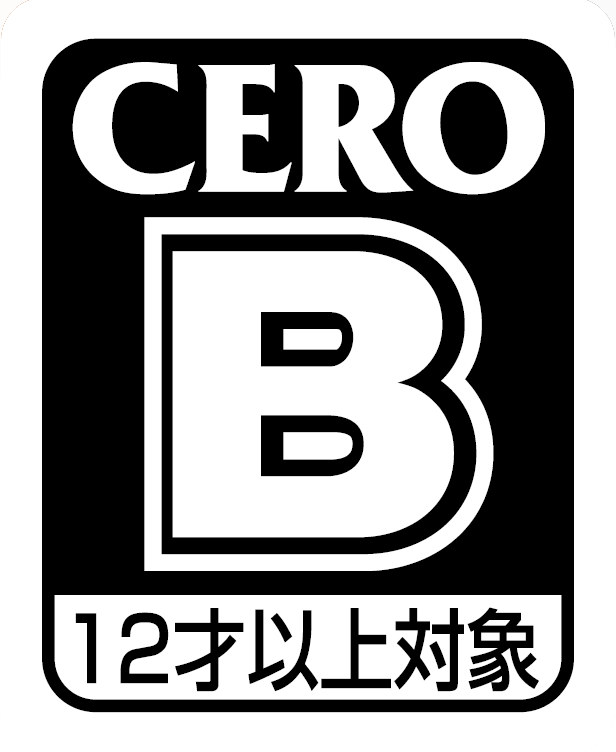 You can also access a manual for the game’s battle system whenever you pause. 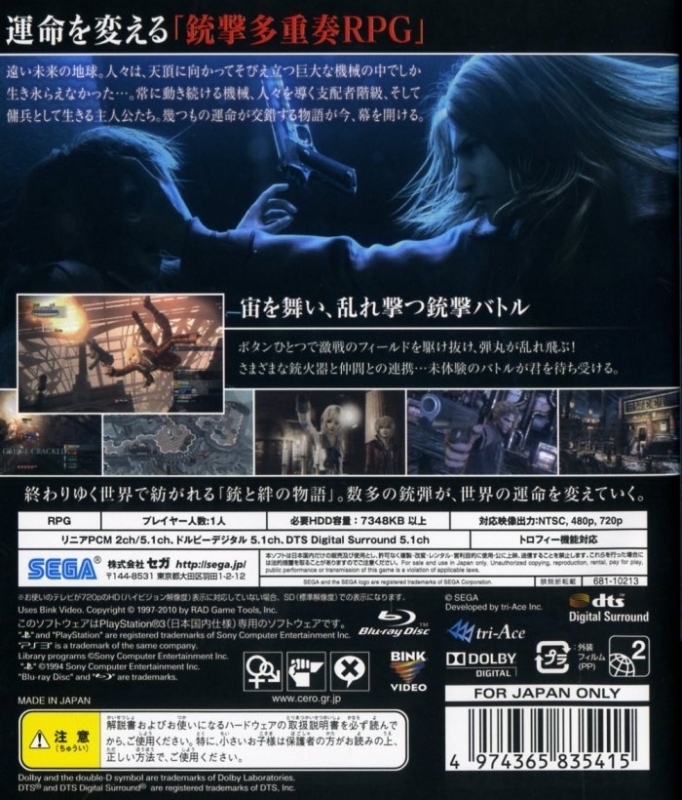 It is easy to get killed in Resonance of Fate since poor planning can quickly result in a depleted hero gauge with no way out, but if you happen to die you can start the fight from the beginning for a nominal fee of Rubies (the game’s currency). I have to say that I love this battle system. When you have all three members working together the game feels challenging, but any time you lose it is because you didn’t plan something correctly and I never felt like the game was being unfair as long as I had all three characters. Sadly, there are large sections of the main story where you are whittled down to using two or even just one character, and during these parts the battle system feels broken and repetitive. Tri-Ace should have probably worked some more on the battle system for when one or more of the characters was missing, or scrapped these sections of the game altogether because they really marred what was otherwise a fantastic battle system. Basel has gone into disrepair with the years, and large sections of it have lost power. If you want to get anywhere you have to bring power back to sections of the tower using energy hexes. It’s a lot like placing puzzle pieces down as you slowly gain access to new areas by putting down different shaped energy hexes. Energy hexes can only be placed if they border an area that is already open; so if you are trying to get to a specific area you have to build a path starting from the nearest open hex on the map. This system is a fun way to make exploration a bit more cerebral as you try to place your energy hexes while wasting as little as possible. The actual towns you uncover are quite small and confined, but do offer new people to talk to and new shops to peruse. Speaking of shops your equipment is fairly simplistic with each character able to hold two weapons and two accessories as long as the total weight does not exceed what the character can carry. The true customization comes out when you start adding parts to your guns. Each gun has ports to which you can add sights, barrels, grips, or ammo clips in order to increase the gun’s effectiveness. These parts can also have ports on them to which you can add even more parts. Finding, creating, and adding more parts to your guns is a great way to allow you to customize them to your liking even if you end up with a gun that could never logically work; like my machine gun that has a telescope sight like a sniper rifle along with six other sights, six barrels and three fore-grips. It may look like a convoluted mess but it also has some fantastic stats. If there’s one part of the game that doesn’t hold up to the rest it would have to be the presentation. Ignoring the fact that the graphics are technically unimpressive, with large noticeable pixels in shadows that for some reason the developers seem to put right in your face whenever possible, Basel is also a pretty boring place to look at. All the dungeons are sets of connected rooms that usually have nothing worth noting visually. On a plus side the character designs for the enemies are quite inventive, and I enjoyed coming across the latest version of a dog wearing people clothes. I also really liked the clothing customization system which allowed you to buy new clothes for your characters which showed up in even the cut scenes. Personally, I had all my characters wearing some great Halloween themed shirts, but there were some outfits that they wore during certain events in the story that I could not find a way to access for general use that I would have loved to own. While the graphics may be sub-par, I would argue that the sound design is actually pretty great. Nolan North has yet another great performance (seriously that dude is in everything now), and Leanne’s voice actor was also great. Zephyr comes off a bit overly emo at points, but he has his redeeming times as well. There are only English voice-overs with no Japanese option that I could find which is strange since the menus show a voice language option but it is grayed out and you cannot change it. Music is fitting, and although I don’t think I will be buying an OST for it I enjoyed it. 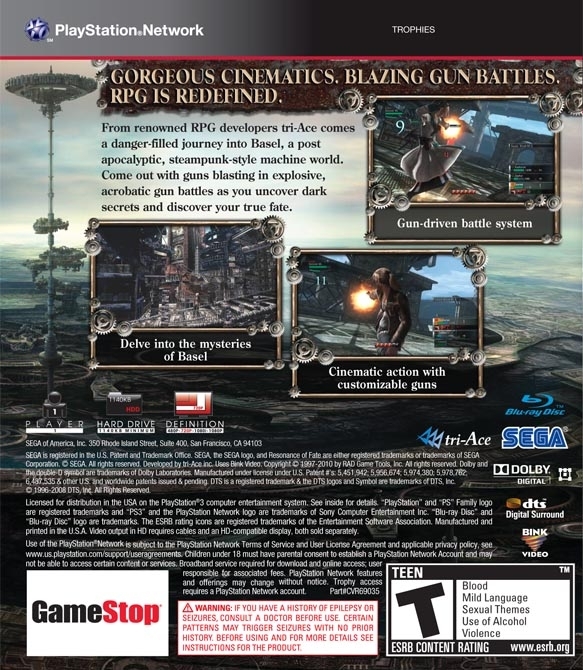 Resonance of Fate has a surprising amount of value even for a JRPG. My first playthrough clocked in at 49 hours which included a large number of side quests that I decided to do so it could probably be completed in 40 or fewer hours, but you would have to do some grinding to make up for not doing the side quests. Once you complete the story you are given the option to restart the game on a newly unlocked higher difficulty, or restart on the same difficulty with all of your items and levels intact and access to a new extremely difficult dungeon. Beyond side missions and optional more difficult fights that are strewn around Basel there is also an arena that you can play around in, but it is set up as quite a grind since you have to beat each level 5 times before you gain access to the next one. This means that if you ignore the arena for a while you are in for a slog through weak enemies that you have no reason to fight. 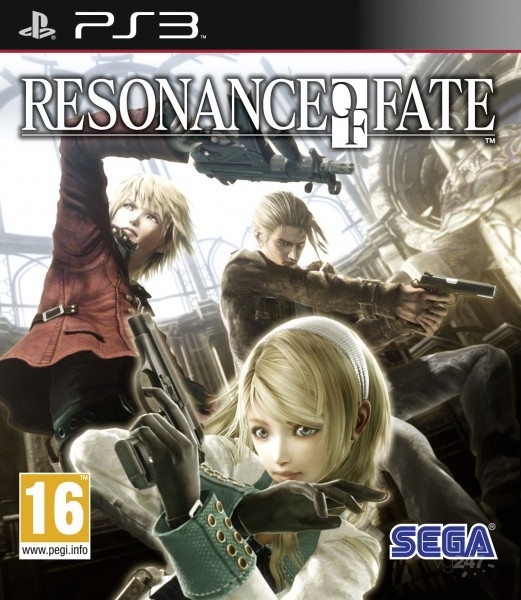 I had really high hopes for Resonance of Fate and for the most part it delivered. The battle system is near perfect, the voice-overs are impressively well done, and you can get quite the mileage out of this game if you want to. Sadly, Tri-Ace puts large sections into the game during which they break their own battle system and it becomes much less fun, the story is rather convoluted and never really came together through my first playthrough, and the graphics can be rather drab and ugly at points. 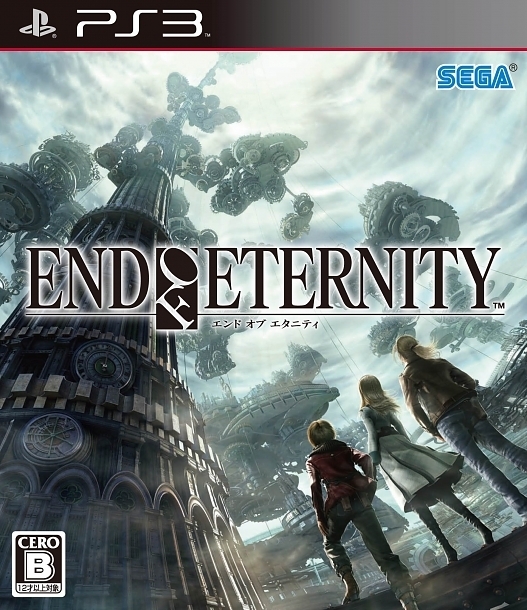 JRPG fans should definitely give this game a try the second you are done with Final Fantasy XIII or Yakuza 3. Sure it was silly of all three developers to release JRPGs in such a short time frame, but if you want to show support for the genre I suggest you go pick up as many as you can and show you love great JRPGs.